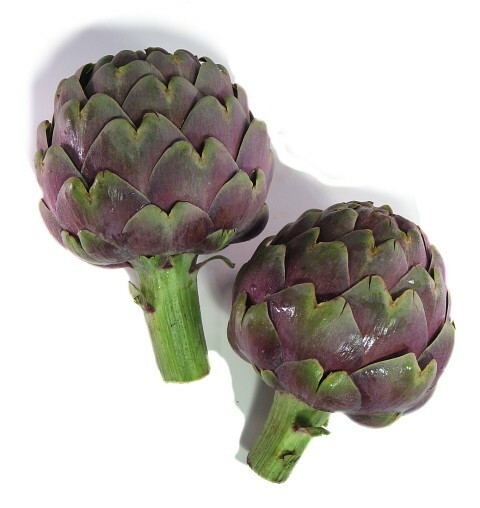 General Information: The red artichoke may be attributed to Keith Mayberry of the University of California. In 1996, Mayberry traveled to Peru, where he collected artichoke plants grown high in the Andes Mountains near the town of Huancayo. These were bred with selections of Imperial Star artichokes that were developed by Mayberry and retired San Diego County farm advisor Wayne Schrader. "We made some crosses and out pops two plants with red artichokes on them," Mayberry said. Red artichokes are in high-demand in Europe and demand for them is rising in the United States because of their decorative appeal. Development of the red artichoke variety is still underway.